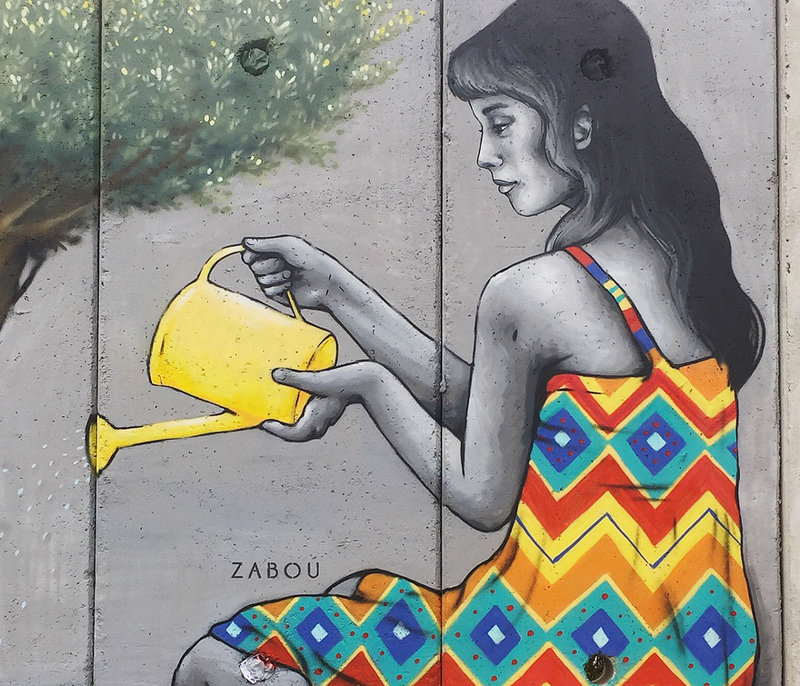 I returned to Israel for the second time with Artists4Israel, for this project we painted the border wall between Lebanon and Israel. The local community on the Israeli side, a moshav called Shtula, emigrated from Kurdistan decades ago. They mostly live from farming and agriculture, olive trees being one of their main growing. 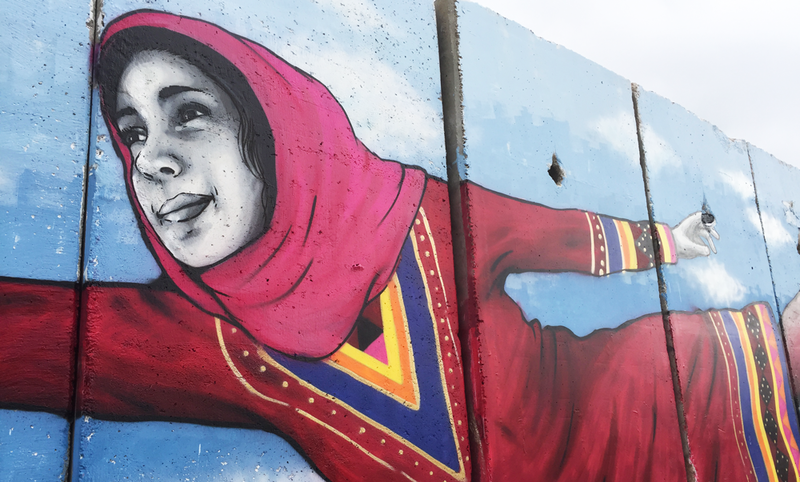 The wall was built to protect them from attacks from the extremist group Hezbollah, based in Lebanon. The wall is guarded by soldiers and tanks. 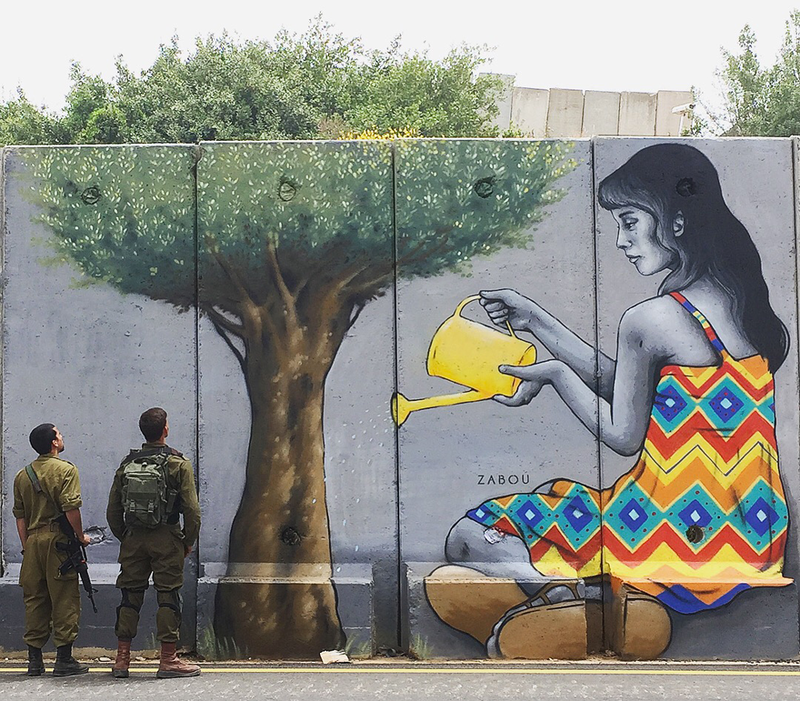 The first mural I created shows a girl watering an olive tree, while an actual tree reflects it on the Lebanese side of the wall. The idea is to plant the seeds, water and grow peace and unity between communities, through the border. My second mural is a rather large one, it depicts two people flying and reaching out to each other’s hand. The man and woman are wearing clothes that are from Kurdish Jewish and Muslim traditions. On the background, the wall disappears and reveals the sky behind.